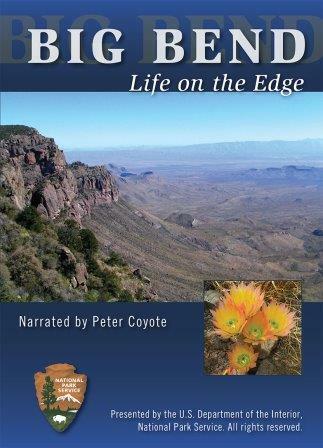 Big Bend National Park & Vicinity: Images of America by Thomas C. Alex. 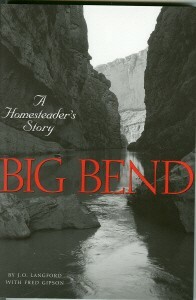 Thomas C. Alex has lived and worked in the area for almost 30 years during which he has collected stories of the Big Bend. Images found in this volume were provided by families who settled the area, the National Park Service, and visitors who found the enchantment of the Big Bend irresistible. The Archives of the Big Bend at Sul Ross State University in Alpine, Texas, also holds an immense treasure trove of images and documents detailing the rich human history of this area. Arcadia Publishing, 2010. 6.5" x 9.25" softcover, 128 pages. "Through archival photographs and stories, Alex, the national park’s archaeologist, gives glimpses into the jumble of lives that have flickered here during recent centuries – Chizo Indians, Spanish missionaries, soldiers, farmers, ranchers, miners, park forefathers and staff, river runners, and various desert rats. Not a comprehensive history of the region, this is the sort of book that will appeal to lovers of Big Bend, admirers of tenacious spirits, and anyone enchanted by ephemeral faces suspended in old photographs. Among the hundreds of faces Alex has collected in his book are sweet-faced young women, imported to remote desert ranches as live-in teachers, the cowhands they married, and one horseback wedding party in a fog-veiled Rosillos Mountains canyon. Tired Chisos Mine workers raise a bottle and strum a guitar after a hard day’s labor, and a Civilian Conservation Corps crew rests up from building the road to Chisos Basin. A covey of children say cheese, grimace and squint in the sun on their first day at the then-new San Vicente School. Everett Townsend and other park-service visionaries scout out the pine-forested Sierra del Carmen for an international peace park that’s still being dreamed of, today. A handsome Boquillas couple poses with their foster children, in front of their home, where for many years they fed and watered visitors from both sides of the Rio Grande.